Logo for Boston West Primary School. 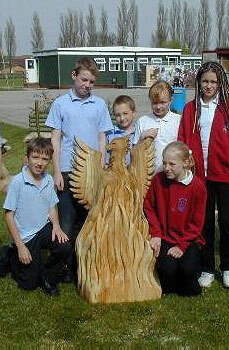 Produced during a chainsaw carving demonstration at the school. A great school, teachers and pupils with wonderful personality. An event I really enjoyed.